When new devices are introduced you may buy them along with keeping your old devices which are fully functional. You may keep them because you have some emotional attachment with those devices. Sometimes these devices are not capable of handling latest OS and software. Well now you don’t have to keep them idle. 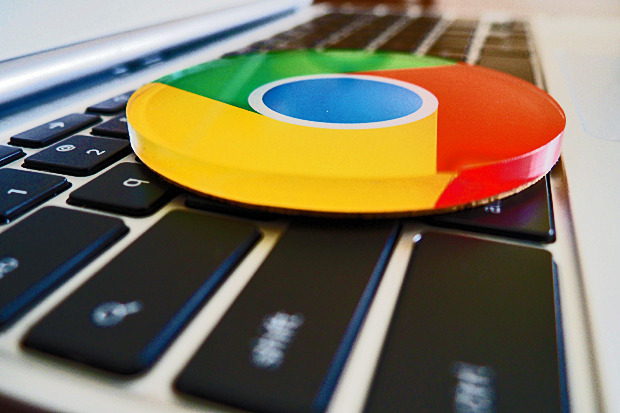 You are able to turn those outdated devices into a Chrome OS device that too at free of cost. You don’t have to upgrade the RAM or put another SSD. Just install Chrome OS and see the difference. Chrome OS is a very light and simple operating system which is based on Chrome browser.It is capable of running on very elementary ARM based hardware chips. So this Chrome OS will be compatible and very much suitable for the old systems. Also Chrome OS is crowded with many useful applications developed by Google and other third parties. Moreover these apps works on simple platforms and drains much less power compared to Windows or Linux OS apps. A start-up based at New York named Neverware, is running this project by upgrading old machines especially at schools. Interestingly home based users can upgrade their system for free just by following the below given steps. First of all you have to check whether your old machine supports Neverware CloudReady System. After checking you have to choose either standalone installation or dual-boot installation. When standalone installation is selected, CloudReady will be installed only as Operating System on the PC. Then existing content on system’s hard drive will be automatically overwritten. When you opt for dual-boot installation, CloudReady will be installed along with existing Operating System and nothing will be lost. When the system is turned on you can either choose CloudReady or existing OS. All computer systems don’t support dual-boot installation. Just go through the compatibility page to know whether the system configurations are compatible to support dual-boot installation. Download the CloudReady installation file. This may be zipped file and you don’t have to unzip it. It will be automatically done. Now just click and open Chrome Browser. From there install Chromebook Recovery Utility Plug-in available at Google Chrome Web Store. After installing the plug-in, click on Launch, from the Web Store and this will unleash Chromebook Recovery Utility. In Recovery Utility you can see a gear icon to the top right of the display and then select Use Local Image. Now select zip file that was downloaded earlier. When it is instructed plug-in a 8/16GB pen drive inorder to convert it into a CloudReady Installer. Select the drive and select Continue thereafter Create Now. It may take nearly 20 minutes to make USB CloudReady Installer. You must note that some progress bar may show progress over 100% and sometimes wrong time estimates. But you don’t have to worry. When it is completed, you can see a green check box. Your CloudReady USB installer is ready to use. Now you can insert the USB drive into your system to load OS on the hard drive. Here you must make sure that your PC boots by USB drive and not on board hard drive. You can alter this by getting into BIOS of PC by pressing DEL or F2, by plugging –in USB drive. Boot your system from USB. When the CloudReady UB installer is loaded, you can see a network configuration window. Now Open the system tray by clicking on the bottom right edge of the screen, where your clock rests. From the Menu select Install CloudReady. An installation window will appear which will guide you through installation steps. Please read the instructions carefully. On the second page, there you will be given an option to select either Standalone or Dual-boot Once you agree with terms and conditions, the installation process starts and it may take nearly 30 minutes to complete. When installation completes, your PC get automatically shut-down and then restarts. Now you can unplug the USB and use the PC. After finishing the installation process you can sign-in to the Google Account and set up various connectivity features. This may include WiFi connectivity and other things. Now you are allowed to customize the OS according to your choice.